You made it! We made it! The 3rd Annual Blog-tember Challenge is COMPLETE! Thirty days of blogging, thirty days of connecting, and thirty days of crazy in my world come to an end today, and I have SO enjoyed being on this journey with you! From fall favorites to family recipes, we've shared everything under the sun this September, and I'm already brainstorming for next year! Will I see you there?! Friday, Sept. 30: Picture this, you've been stopped on the street by the photographer of Humans of New York, and he asks, "What advice would you give to a large group of people?" Share a picture of yourself along with the advice. Having the capability to do something does not mean you have the capacity to do it. In other words, just because you could that doesn't mean you should. If you are like me, you can have a hard time saying no to things. I volunteer, allow myself to be volunteered, and I pile my plate high with responsibilities. I pack my schedule with events and commitments, self-care falling to the wayside. For far too long my mindset has been that if I am physically able to take on a project, person, or position then I should. I've also long had the perspective that if I do not do it myself then it won't get done or be done well. Y'all. These ideas are FALSE. Untrue. And often crippling. In this season (and the last) I have been learning the hard way that saying "no" can be good. While it may be difficult, and it may momentarily disappoint someone, it can be the healthiest choice for my own heart and the most beneficial decision for whatever the project may be. I want to be through with stretching myself thin and pretending to be Superwoman. I want to take care of myself (physically, mentally, and spiritually) AND leave room for someone else to step into their calling or this/that opportunity. It is also easy for me to get caught up in the "she does so I should!" fantasy/fiasco, especially when it comes to online endeavors. Just because she has an online shop of printables, doesn't mean that I should even if I could. Just because she signed up for this team or that review doesn't mean that I have to. Just because half of Instagram is selling this thing, doesn't mean that I have to sell to enjoy it or be cool. The comparison game is strong, and the trap is easy to fall into. I, however, want to remain SECURE in my identity (which is in Jesus and NOT my follower count) and trust that HIS will for my season and my schedule is better than any that I could make up for myself. My own medicine is hard to take, but some tough decisions are being made in the upcoming weeks. I am going to have to say no more, and I may even have to bow out of previous commitments. Mind you, I am not encouraging irresponsibility but intentionality. And sometimes your best yes is a thoughtful no. What advice would you give to a large group of people? AND what was your favorite part about the challenge?! Thanks again for joining us! It's been GRAND! One day more, y'all! One day more! (Thank you, Les Mis, for being on repeat in my head today...) The 2016 Blog-tember Challenge is coming to a close tomorrow, and I couldn't think of a better way to end than by sharing our favorite reads with our new friends. I have been immensely blessed to have made SO many friends in the blogging world, and limiting this post to just five has been SO difficult. But for your sake and mine, five it is. Thursday, Sept. 29: Your Fab Five. Share your favorite bloggers/besties and tell us what you love about them! Share a link and give a shout out. Rachel is a blogging friend turned best friend, and I am forever grateful that our paths crossed a few years ago. Rachel reached out and asked if I would contribute to her series on singleness, and I happily said yes. When I moved to Oklahoma, we got together with a mutual friend for lunch, and the rest is history. I actually took the above picture at her house this past spring when I went for a visit! Rachel gets me, and Rachel tells me like it is. She writes with clarity and truth, conviction and heart, and I cannot WAIT for us to hang out next week! Yes, another awesome Rachel! RAD (yes, her initials are a perfect description of her) is phenomenal. Her heart is beautiful, her funniness fierce, her blog book-tastic, and her energy catching! I have yet to meet her in real life, but it will happen ONE DAY! I love getting a glimpse into her heart with every post and tweet she sends out into the world, and I KNOW the world is made better by it. Oooh, y'all. Victoria is a gem of a friend, and one of my first blogging gals that I met in real life. She is a true southern belle with beautiful British roots, and her baby Beau is just adorable! I love her style and her heart of Gospel-centered hospitality (it just radiates from her), and her summer travels are awe-and-wanderlust-inspiring. 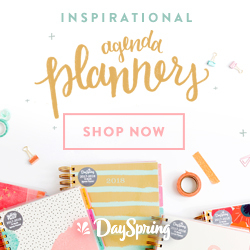 I'll also never forget sharing the quintessential blogger moment: I was at her house when her planner arrived in the mail and we squealed in delight as only bloggers could/would! Michaela was one of the first blogs I started following consistently in college, and she is still one of my favorites. She lived in Seattle and shared so much about the city that by the time I got there I felt right at home! We've only met in passing (literally, I spotted her in the crowd of a Baylor Homecoming parade and waved as my ride kept driving!) but watching her story unfold these past few years has been such a delight (she got married a week ago and was a STUNNING bride)! Her design and style are as beautiful as her heart, and I'm constantly inspired by her. There you have it, friends! Just a few of my faves! This year has been a doozy, y'all. It's almost laughable. Actually, it is laughable. Thinking back to my goal planning at the end of 2015, I really had no clue what this year would hold, and so little of it turned out as planned. There have been high highs and low lows, but both are worth sharing today. The Blog-tember Challenge (and 2016) are coming to a close, so let's reflect! By the way, choosing FIVE photos out of 11,000+ on my phone (yeah, yeah I know...) is TOUGH. Wednesday, Sept. 28: The top five pictures that illustrate your year so far. One. This year is the year I finished my graduate degree in theatre at Oklahoma State University. The two years spent at OSU were beautiful and difficult at the same time, but this year was positively brimming with blessings, sweet friends, and memorable shows. I can't believe my time there has already come and gone! Two. Of course a selfie has to be included, just for grins! This year I've been learning a lot about myself, including more of the things that make me tick, the hard places in my heart, and just how deep the desires run for some of my biggest dreams. My hair is also FINALLY getting long again! I cut it all off in January of 2015 to have a 1920s bob for a play, and now it's nearly its previous length! Woohoo! Three. I could probably --and should probably-- call 2016 the "Year of Books" because I have been reading, reading, reading. One of my goals was to read 52 books in 52 weeks, and yesterday I finished book #49! There are still three months left in the year, so we'll see how high this number gets by the end. Four. Oh man. These three. I have been blessed with incredible friendships via the internet, but Dana, Annie, and Rachel have been the sweetest and most fierce encouragers this year! It was almost exactly one year ago that we took this picture the first night of the Influence Conference in Indianapolis, and we've been texting, Facetiming, and .gif sending ever since ;) These gals love Jesus SO much and they bless my socks off continually. This year would NOT have been the same without them. Five. To be continued. 2016 is NOT finished, even though the end is on the horizon. I absolutely had to end this post with this picture for several reasons. First, it has been almost one year since I joined the Illustrated Faith Creative Team, and that decision has changed my life dramatically. Second, spending time creatively getting into the Word of God is such a big part of my life that I could not leave it out! Finally, I'm already enjoying looking back at the Bibles I've journaled this year to see what the Lord's been teaching and carrying me through. 2016 is one for the books, including the good, bad, and ugly. I want to savor every last second of it. It's your turn! What has 2016 looked like for you?! Oh my stars, there were so many options for today's post! With as long and hard as school days can be, I definitely needed a good laugh to finish things off and to help us keep trucking along these last few days of the challenge. I hope you enjoy it as much as I did! Tuesday, Sept. 27: Something that made you laugh or cry recently. It could be a video, a picture, a post, a memory. Anything that moved you. Oh my gosh, this made me laugh so hard. Can I have one? Pretty please? We could frolic in the leaves together ALL DAY. What made you laugh or cry (or both) recently? It's the last week of the challenge, y'all! We are so close to the end! How have you been doing? Completing every prompt? Going for every other day? Whichever way you've been joining in, I'm so glad that you've been along for the ride! Let's finish this thing strong! Monday, Sept. 26: Grab a guest post. Let's have a friend share our space for the day. The sweet Rachel Nordgren graciously offered to share some of the wisdom from her blog for today's guest post, and I certainly needed to read these tips while putting my apartment back together this weekend. 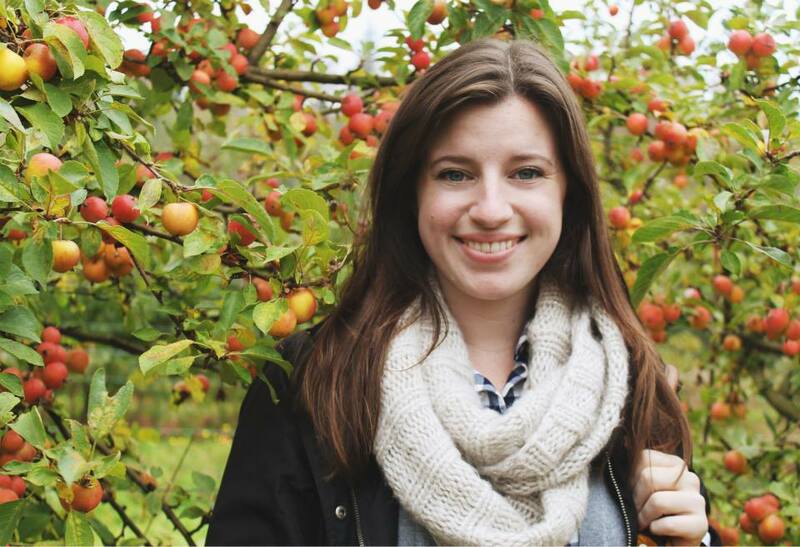 I love her heart for "simplicity anchored in the gospel," and I'm pretty sure you will, too. Enjoy! It's no secret that we live in a culture of clutter, and hardly anyplace is that more evident than in our homes. Physical clutter can quickly lead to mental/emotional clutter and stress us out, turning our homes from restful retreats into irksome eyesores. Let's do something about it! 1. Know WHY If you do not have a guiding purpose behind your decluttering efforts, they will fail in a hot second. Why do you want to have a simplified home? Is it because you're sick of dusting a trillion tchotchkes? Is it because your kids have thousands of toys that never seem to get picked up (according to this Boston Globe article, "America has 3.1% of the world’s children but buys 40% of the world’s toys") or is it because the clutter just straight up stresses you out? Whatever your reason, know why you want to declutter and keep it in mind as you sort through your things. Getting rid of books you'll never read or sentimental items is much easier when you have a clear purpose. 2. Start Small The effort of decluttering can sometimes feel as overwhelming as the clutter itself. Don't be intimidated by your stuff - it's just stuff. Start with a junk drawer, a hall closet, or a bookshelf, and don't move on until you're done with that one area. 3. Get Boxy Approach that army of clutter with a battle plan. You'll need four large boxes (or bags or bins): one for throwing away, one for donating, one for borrowed items that need to be returned to their rightful owners, and one for items you're on the fence about getting rid of. 4. Touch ONCE The "one touch rule" makes decluttering your home an act of intention. As you declutter, don't pick something up, wander around the house looking for it's home, get frustrated, and then set that item down someplace else. Make a decision about whether to keep the item and put it in it's proper place, or put it to one of your four boxes. Every piece of clutter is a decision to be made. Make decisions! 5. Check the Expiration Date It's amazing what can grow in a half-eaten jar of pasta sauce that's been camped out in the furthest reaches of your fridge for the past 8 months. There might be tons of things in your home - food, coupons, beauty products, burned down candles - that are expired and, therefore, useless. Chuck 'em! *Note: this tip also applies to magazines from six years ago, trendy clothes from the 90's, and paraphanelia from failed relationships. 6. Keep the Memory, Not the Thing Sentimental items are some of the hardest to get rid of. I want to tell you this with all the gentleness I can: things will not bring back people, experiences, or events. Don't immediately decide to keep something just because it's sentimental...evaluate if the memory is even worthpreserving in physical form. *Note: you don't have to keep everything to still keep the memory. For example, instead of keeping all of your old dog's toys after they pass away, maybe just keep their dog tags or collar. Instead of hanging onto every piece of silver your Grandma gave you, select a favorite piece and pass along the rest to other relatives. 7. Find Everything a Home Every night, I do a quick sweep through the house to tidy up. It's insanely easy, because A.) we're planning to live in a tiny home soon and therefore have already purged a ton of our possessions, and B.) I know where everything goes. When everything has a home, tidying and decluttering become a seamless process. Old catalog? In the recycling bin. Hans' socks? On his nightstand because I hate folding laundry. Banjo's toys? In his toy basket. The movie we borrowed from my sister-in-law? In my purse to give it back to her at family dinner. I hope these quick and dirty tips help you conquer your clutter! Thanks, Rachel! Anyone else just loving her tips?! I know I am! If you've spent any time around Love Bailey Jean or my Instagram, you'll probably have heard of a lovely little thing I like to call Bible journaling. Actually, I don't call it that, thousands of women call it that. When it came time to choose something to review, I knew I had to share the latest Illustrated Faith Kit: How He Loves Us. Get ready for the pretty, y'all! Sunday, Sept. 25: Review something! A place, a book, a service, a product. Anything at all! Every month, Illustrated Faith + Bella Blvd + Dayspring come out with a new 14-day devotional kit, and every month I am more and more inspired by the words and the contents sent my way. This month's kit was called "How He Loves Us" and was written by the sweet Stephanie Buice. She and I were both on the Illustrated Faith Creative Team together for a while, and I simply love her heart! Her designs are stunning as well, and this kit has already been encouraging and challenging. The title "How He Loves" took me back to one of my favorite worship songs from college by The David Crowder Band (which has since been re-recorded many times over). Check out the version by John Mark McMillan and Kim Walker Smith HERE. This month's kit comes with quite possibly my favorite stamp kit yet, including hearts, paint swipes, spots, and the phrases "Thank you," "amen amen," and "father," bookended by some super fun arrows and typewritten words. Each devo comes with coordinating scripture cards, washi tape, and a stamp backer with images you can cut out and put anywhere you like. The tabs are especially cute this go-around, and the ink pad that's included is PINK! BE STILL MY HEART! There will be a closer look at a few of the devotional pages and my journaling Bible up on the Illustrated Faith blog this week, so stay tuned for those links! 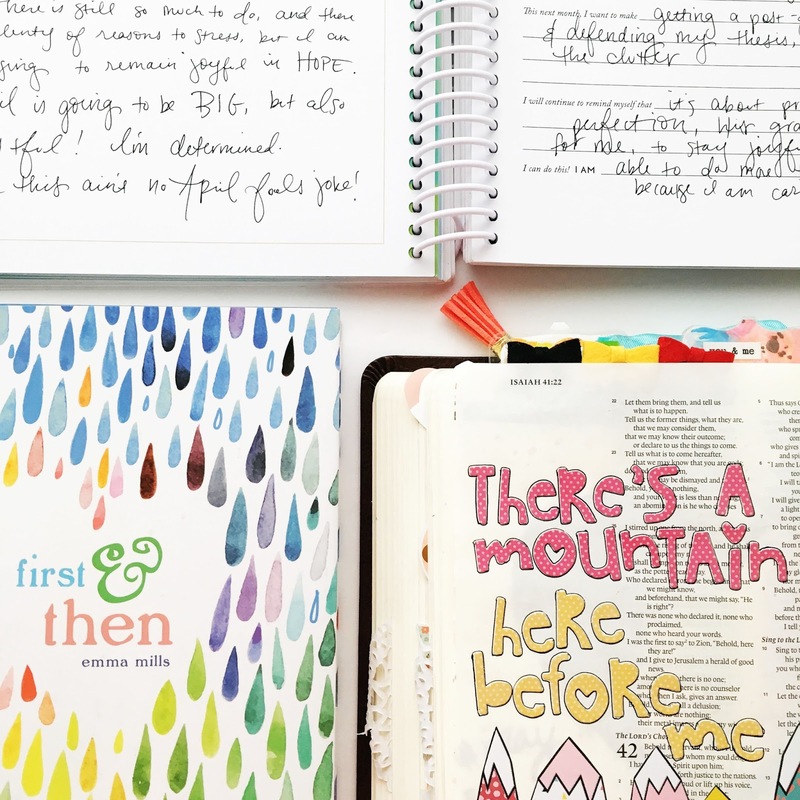 If you're brand new to Bible journaling, I highly recommend starting with a devotional kit. It sets you up with the basics, and is a great deal. Bible journaling can be as simple as setting a pen to paper, but it's so much more fun to make a mess in the margins in my opinion. 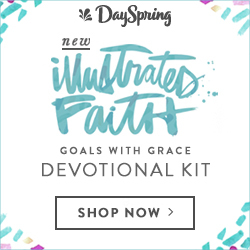 The How He Loves Us devotional kit by Illustrated Faith + Bella Blvd + Dayspring is part of my daily routine this month, and I may even linger in it a little big longer. 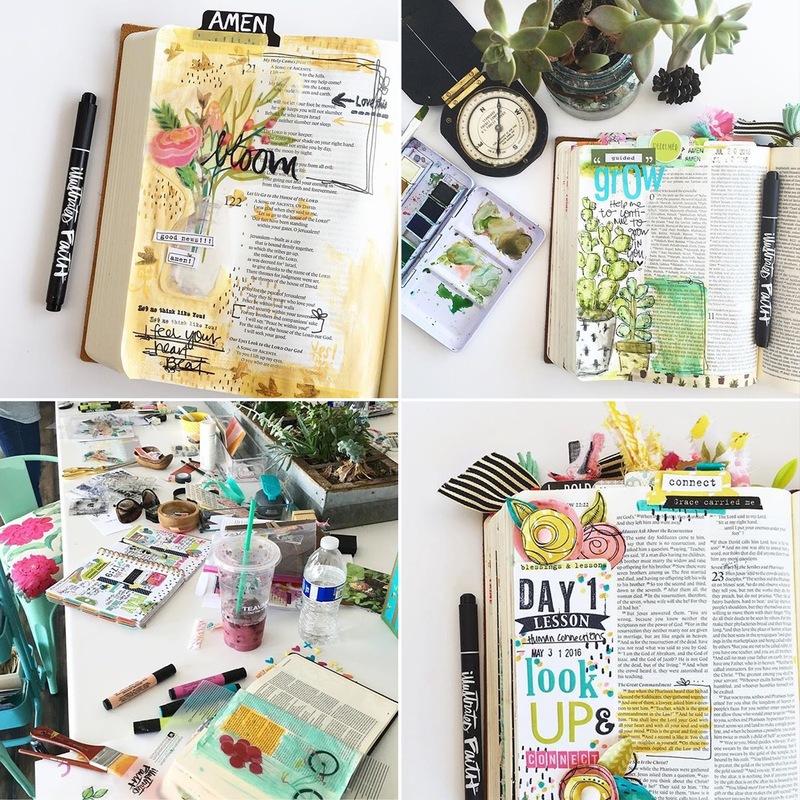 Have you ever tried Bible journaling? 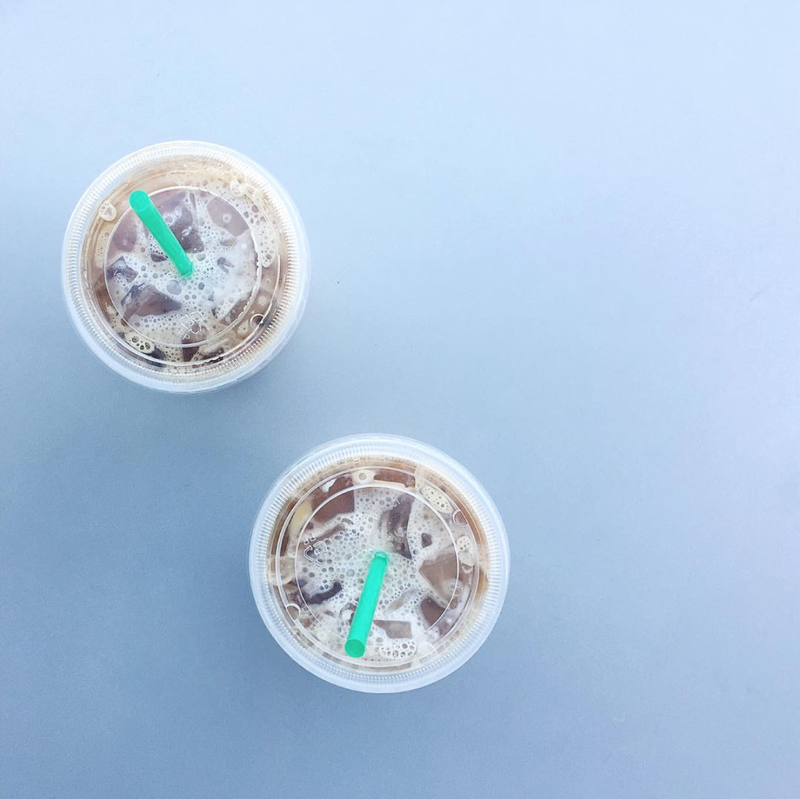 What are you going to share with us today? It may still be in the 90s here, but I am determined to begin dressing for fall anyway. Luckily my classroom is always 60 degrees or below, so I can bundle up once at school. It's walking out to my car in the heat where it gets rough... For today's prompt I'm showing you my latest Pinterest-inspired outfit, a go-to look for this fall. Saturday, Sept 24: Recreate an outfit or a project from another blogger. Be sure to link back to the source! The first image is from The Everygirl's article 9 Ways to Style Your Little Black Dress. I have several styles of the little black dress in my closet, and I love that tossing a cardigan or my green army vest on over it can change the look entirely. And I love the pockets in my army vest. They're so handy! The image on the right is from 20 Style Tips to Wearing Your Army Jacket, which I found equally as helpful! The stripes add some sass and style to the green, which suits me just fine, and the gold accents are spot on. My attempt at a combination/recreation is in the middle. I have linked the items or similar ones below. Prepare to see this outfit pretty often in the coming months! I'm just in love with it! September 23rd has a special place in my heart, y'all. You know why?! Because it's my 7th BLOG-IVERSARY! I started blogging seven years ago today, and little did I know what I was getting into. A cross-country move, three conferences, three (and a half) blogging challenges, a half-dozen PLUS meet-ups with strangers from the internet later, this little world has blessed me 100 times over! It will never cease to amaze me, and I can't imagine life without it. You're my people, y'all. And I'm so thankful. Today deserved a celebration in my opinion, and it definitely influenced my decision about which recipe to choose. Just so you know, this isn't my recipe. It's my mom's. And I have no idea where she got it from, but it is a staple at family gatherings and for holidays. But enjoy! Friday, September 23: A family recipe (if grandma allows, of course)! 1. Remove labels from can of sweetened condensed milk, then boil for two hours. 2. Set aside the can of boiled milk (now caramel) until it is cool to the touch. 3. Slice 2 bananas, layering evenly over graham cracker crust. 4. Cover bananas with the entire can of caramel. 5. Finish with a layer of 2/3 the tub of Cool Whip. Voila! A show-stopping banana caramel pie! NOTE: Do NOT use the cans of sweetened condensed milk with the pop tab on the top! Also, it is VERY important that you wait for the cans to cool completely before you open them. Otherwise they will explode. I typically boil 3-4 cans at a time to save a few for later, especially if I'm doing it in late summer/early fall when the boiling water makes my apartment so warm. I also recommend that you check the pot every 20-30 minutes to make sure the cans remain completely covered by the boiling water; add water as necessary. Lastly, be sure to refrigerate the pie before serving. I think it's best served cold! It's only five steps and four ingredients to the PERFECT holiday pie that will delight and surprise your friends and family. It's SO rich though that one piece will last me several days. You'll have to let me know if you give it a try! I can't wait to see what you think! Which recipe(s) are you sharing today? Whether the weather reflects it or not, it's FALL! Today is the first official day of one of my favorite seasons (arguably my actual favorite because, let's face it, in Texas fall doesn't really show up until winter...), so today's prompt is well timed! I came across this collage I made in the FIRST Blog-tember Challenge back in 2014, and you know what? It still gives me all the heart eyes! Enjoy! Thursday, Sept. 22: Fall favorites. Share your must-haves for this season. Leaves changing colors. Crisp breezes on the way to class. White pumpkins. Hot chocolate weather. Curling up with a book. Christmas anticipation. Thanksgiving. Dinner parties. Decorating with burlap. College football. Boots and sweaters. Candlelight and fireplaces. Wearing layers. Carving pumpkins. Cozy blankets. You've Got Mail. What about fall is your favorite? What are your must-haves for the season? You scream, I scream, we all scream for ice cream! Now how many of us started off our posts in that way today? ;) The temptation was too sweet to resist. I absolutely LOVE ice cream, and as any good Texas girl does, I love me some Blue Bell. Seriously. I mourned its absence when I lived in the Pacific Northwest, and I grieved the disappearance of it in the Blue Bell Famine of 2015. But we survived it, we made it to the other side, and new flavors have arrived! 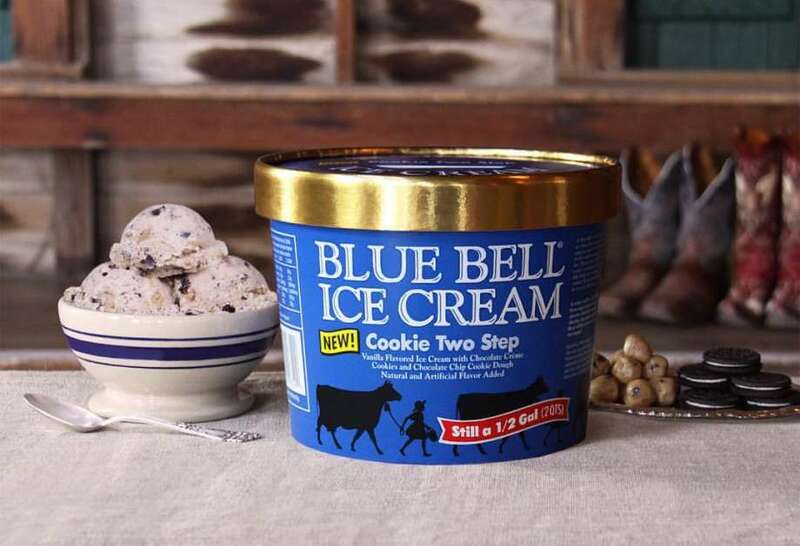 With a prompt like today's for the Blog-tember Challenge, I simply had to pick a new Blue Bell Favorite. which flavor would you be? Why? If I were a flavor of ice cream, I would be the Cookie Two Step. It's two classics rolled into one: cookies and cream + chocolate chip cookie dough. I chose the Cooke Two Step for several reasons. 1. It's Blue Bell. Duh. 2. It's multifaceted! Two personalities, two favorites, combined. 3. Look at that fun blue tub color! If I'm not wearing black, I'm wearing blue. And I love it. 4. In my family we two-step. And swing dance. And a combination of the two. It's your turn to choose? Which ice cream flavor is your favorite? Or which flavor best represents you? We're in the twenties, y'all! Ten more days and The Blog-tember Challenge will be complete! For today's topic, there were a number of topics I thought about writing on, but it came down to some encouragement that my own heart needed to hear. These first few weeks of teaching have not been easy, and I HAVE TO HAVE TO HAVE TO keep the why in mind in order thrive. So today I'm sharing some of that with you. Tuesday, Sept. 20: Something you wish more people knew or believed. A rehearsal photo from the production of Almost, Maine that I directed in February. I wish more people knew, believed, or understood that an arts education is VITAL to their development as a contributing member of society. Note I said contributing member. People can survive without it, but in order to function well and to give something good into the world around you, I think exposure to and education in the arts is a game-changer. It doesn't have to be theatre (though I'd prefer it to be, but that's just me), because art in any form has plenty to teach you. In Texas, football is king. It gets the money, the glory, the attendance, and the focus. Academics are valued, too, but the arts can often get the short end of the stick. What's the first thing to go when funding is low? You guessed it. STEAM turns to STEM and my position loses its place. But what I do is more than teach students how to play pretend. It's more than watching movie-musicals and playing games (though yes, that does sometimes happen). It's teaching people to ask big questions, of themselves, of society, and of each other. It's teaching people how to express themselves verbally, physically, and creatively. It's teaching collaboration and problem-solving, wrestling with the balance of serving your audience and challenging them. It's introducing various viewpoints and histories, finding similarities and differences. It is teaching people that everyone has something to contribute, and art takes a community. 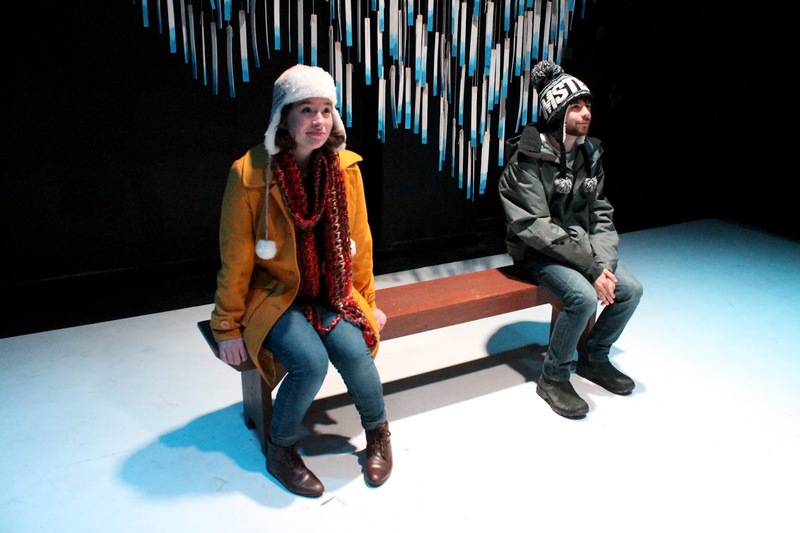 A photo from the production of Almost, Maine I directed last October. I absolutely LOVE theatre. I am learning to love teaching theatre. I am learning that not everyone loves theatre. And I am learning that I must keep on anyway. Theatre is a foreign language. unless you know how to live? That is why theatre is taught in our schools. That's why I do what I do. That's why I get up and go to work in the morning. That's why I battle all the paperwork and mindless details, staying at the theatre until dark night after night for rehearsal. It isn't always easy, but it is so worth it. What do you wish more people knew/believed? Now this prompt was a fun walk down memory lane. My 7 year blog-iversary is just days away, and I have written 500+ posts on a multitude of topics! My three previous blog challenges took care of 90 all on their own, and this one brings it the challenge total to 109! It was so hard to narrow it down, and I'm sure that further back in the archives there are ones I love just as much if not more, but here are six of my favorite posts from the past two years. Monday, Sept. 19: A list of your favorite blogposts you've written. This summer I shared a fun DIY, making a look-alike of a $485 hat for under $20! I love the Vogue 73 questions videos, and I answered my 73 this summer! Last spring I read (or attempted to read) for 24 hours straight; find the recap and reviews in this post! The holidays are coming up again, and I certainly need the reminder about how to thrive footloose and fancy free. I co-hosted a series called An Inspired Season with Katie, and this is one of my favorite moldboards I ever made. I wrote this post two years ago, and it is still speaking to me. Oh man. So many posts that I had completely forgotten about or hadn't read in quite a while! It did my own heart good to give them another once-ver. I think some of these Blog-tember posts are becoming favorites, too, so who knows what next year's list could look like. What are your favorite posts? On and on we go. We are plowing into the second half of The Blog-tember Challenge, and I'm getting more and more excited as I prep for the prompts this week. Yesterday's vlog was different than planned, so I'm sure another one will show up soon. Thankfully I'm on the mend, getting my voice and energy back, and I return to school tomorrow. For today's prompt I'm sharing something that simplifies life by kicking a bad habit and starting my day off right. Sunday, September 18: One product that simplifies your life. No, I'm not just talking about my iPhone here. 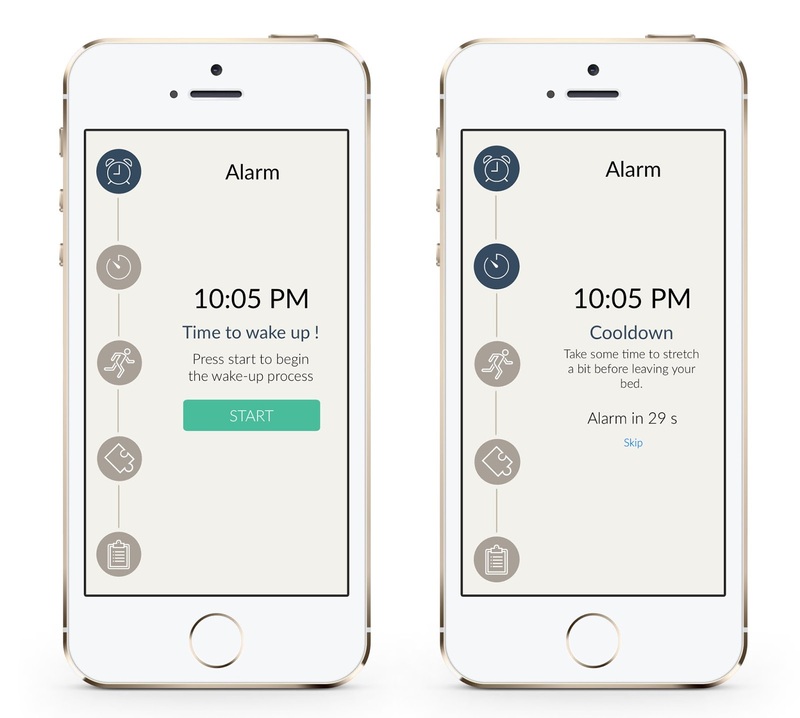 What I want to do today is introduce you to my new favorite app: Kiwake. It's the white and multi-colored clock icon with the "1" notification at the bottom of my screen. 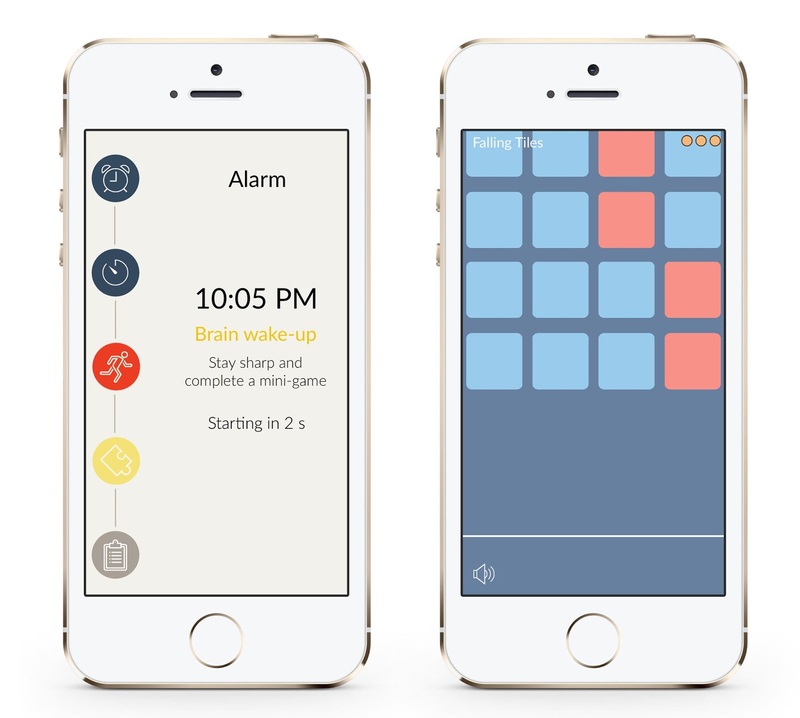 I stumbled upon Kiwake in my search for an app to help me kick my awful snooze button addiction. Seriously. I set my alarm to get an hour's worth of work done before leaving for school, and yet somehow I end up leaving my apartment with only minutes to spare before I actually have to be at school. It's ridiculous. But this app has totally helped! To set the alarm, you have to click "NIGHT MODE" the night prior. What I like about this feature on this app is that I can continue to use the app even when it's on night mode. Some other apps require you to set the alarm then put the phone down or it won't work. You can select whichever sort of sound you like for when the alarm initially goes off, and I actually really like the one called "Crazy Glue." It feels very happy and isn't too abrasive. When it goes off, you have to touch the START button in order for the cool down period to begin. I keep my cool-down to around 30 seconds to 1 minute. Otherwise it's even more difficult to get up out of bed. The first prompt is the Body Wake-Up. I don't have screen grabs of this, but the way it works is when you create the alarm you take a picture of an area of your room (preferably a different room) or a piece of artwork/a picture frame on the wall that you will have to get up out of the bed and turn on the light to take the exact same picture when the alarm sounds. Otherwise a blaring alarm will sound and you can't turn it off by closing down the app. Believe me, I tried. It still beeps. I chose a picture on the wall on the far side of the apartment. I have to get up, leave my room, turn on the living room light, and then take a picture of the image. I also included my key hook so I have to make sure my keys are there when I take the picture or it won't be a match. One more thing to hunt for and wake me up in the morning if I forgot to put them there yesterday. Also a great way to keep from hunting for my keys on my way out the door. The second prompt is the Brain Wake-Up. You can pick from a variety of games and set them at easy, medium, or hard in difficulty. I use falling tiles, and I have to win three rounds of it before the app will move on. The tiles fall and I have to click the red ones before they cross the white line at the bottom of the screen. 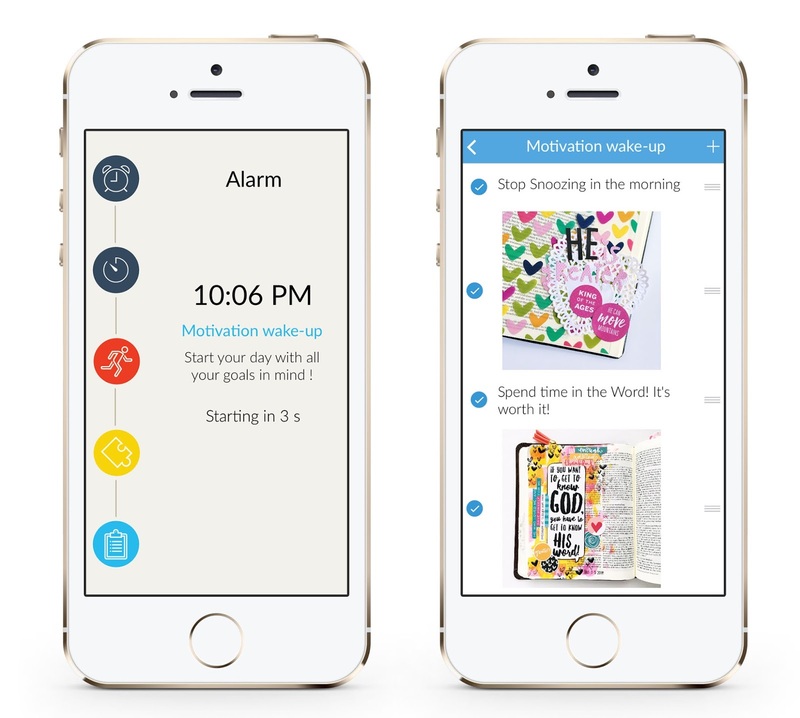 The third and final prompt is the Motivation Wake-Up. The app asks you to set goals in either sentences or with pictures, and you have to swipe through each one of them to check them off. I'm all for a little motivation, but out of sight is out of mind, so this is very helpful in reminding me to prioritize time in scripture or to do a bit of yoga before the day begins. Once all three prompts have been completed, VOILA! The alarm is deactivated. My biggest challenge is refraining from crawling back into bed once it's been turned off... but so far I'm making progress. There are two final notes I should add. One, I was in no way prompted or sponsored by Kiwake to endorse the app. I've just been using it over the past couple of weeks and find it very helpful! Two, the app is still new so there are some bugs. When I set the alarm for 10:05pm when writing the post (so it would go off 2-3 minutes after setting the alarm), it froze once and would not turn off, so I deleted the app and re-installed it. Hopefully they'll sort out the kinks soon, but the other alarm I have been using on the regular has had no issues! What's one thing you use you simplify? It's vlogging day! Honestly, I love including a vlogging prompt because it typically forces me to get in front of the camera, but this year I put it off and ended up pretty rough before it was time to record. SO I'm not in front of the camera, but I will be soon! Today's vlog is a flip-through of my journaling Bible and the latest Illustrated Faith kit which I cannot wait to share with you! Saturday, Sept. 17: Vlogging day! Record a vlog about anything you like! How'd you like that lovely voice? It's your turn, lovelies! Can't wait to watch! **Oops! I forgot the linkup.... it's here now! Funny the timing of this prompt. After three and a half weeks of powering through school, my body said, "Nope, time for some rest." So it's three days of self-care before diving right back in. Friday, Sept. 16: How do you de-stress/take care of yourself? I'm not great at self-care. I go, go, go and I say yes, yes, yes probably longer and more than I should. Self-care feels selfish. But self-care is a game changer, something I've learned the hard way only to forget a month or a few days later. Lately, or when I am intentional about it, self-care looks like extra sleep, relaxing on the couch, reading for fun, and illustrating my faith. I can absolutely tell when I haven't been getting or doing enough of it, and this is one of those times. It's one of those seasons already. Today is a day for self care. I've called in a sub for work (#strepthroatproblems) and I'm staying in bed. ALL DAY. I might read, I might watch more Once Upon a Time, but my body needs to heal. It's time to start listening to it. How do you prioritize self-care? Okay. Listen, Blog-tember. You and I need to have a talkin' to. Next year, let's not have everything explode during The 4th Annual Blog-tember Challenge, k? I know you like to be eventful and whatnot, but let's calm it down, shall we? The first year, I started grad school. Yeah, that was big. The second year, I was directing my thesis show. I know, I know, you wanted attention, and you got it, but this year? Did we HAVE to get strep AND cancel my fall show AND start a brand new show AND have all the things on the calendar? You're about to make me start listening to Christmas music... and it's only September! So... going forward.. let's be chill. Pretty please? Thanks. Thursday, Sept. 15: What is the craziest adventure you've ever been on? I have had my share of adventures. I am so blessed to have traveled through many states and countries, exploring with family, friends, and alone, and the adventure continues today. When it came to this prompt, I had several ideas, specific trips I wanted to mention, but then I came down with strep so we're keeping this short and sweet. So far, the craziest adventure I have ever been on was moving to Seattle, Washington for a year. When I was preparing to graduate from Baylor University with a degree in theatre, I expected to stay in Texas. That had always been the understood answer to the question, "What are you doing after graduation?" My junior year of college, I really felt called to attend a discipleship training school at a church in Oklahoma after graduation. I knew it in my heart and felt it SO DEEPLY that I was headed there, degree in hand, taking a year off from doing theatre to dig into whatever the Lord had next for me. This was March of 2012. I prayed through this, planned for this, for almost a year. In January of my senior year, I got a call that they were not planning to offer the discipleship school the following year. WHAT?! I panicked. My heart pounded, my shoulders sank. The plans I had made and told so many people about were no longer to be. It was then that I decided just to look at the summer. I could plan for June and July, then the rest would take care of itself. Now, June and July are HOT HOT HOT in Texas, so I figured I might as well try to get out of the state for a few months, do some theatre, and enjoy some cooler weather. It was then that Seattle became an option. Several friends visited there the summer before while I was studying abroad, and I had heard nothing but good things about it. I looked up a theatre company and applied for the summer internship, and booked a weekend trip out there with a friend for after spring break. On my first day in the city, I HATED it. I mean I was SO not moving there. I didn't vibe with the theatre company, I got so confused by the public transportation, and it was so far away. I had already arranged with a family (a friend of a friend) about possibly nannying for them over the summer while doing the internship, and I tried to cancel our meeting. I had written Seattle off as an option, right, so why go? But they insisted that we still do breakfast, and Y'ALL. That breakfast changed EVERYTHING. They were (are!) the sweetest couple with such great kids, and it was over breakfast that Mel offered me an internship with her company. I told her I'd think about it, but in the moment I shrugged it off. Within minutes of that offer, she made another: a directing position in the fall. Again, I shrugged it off. I wasn't moving to Seattle. That weekend, I was texting my mom when she asked, "Are we moving you to Seattle?" and I said, "Maybe." But on the way home, I wasn't sure. I'm a Texas girl and I had never planned to leave. Yeah, Oklahoma was in the mix, but it was Oklahoma. Just a quick jaunt up the road. Seattle on the other hand was practically the farthest corner I could get to in the US. I remember praying, "Okay, God, if you want me to go, you'll have to convince my dad." Seattle was my adventure year. That's what I call it and that's what I'll always remember it as. I graduated on May 18 and I boarded a plane for the Pacific Northwest on June 7. We then drove my car across the country (now that's another story entirely!) in September, and I called Seattle home through the following July. 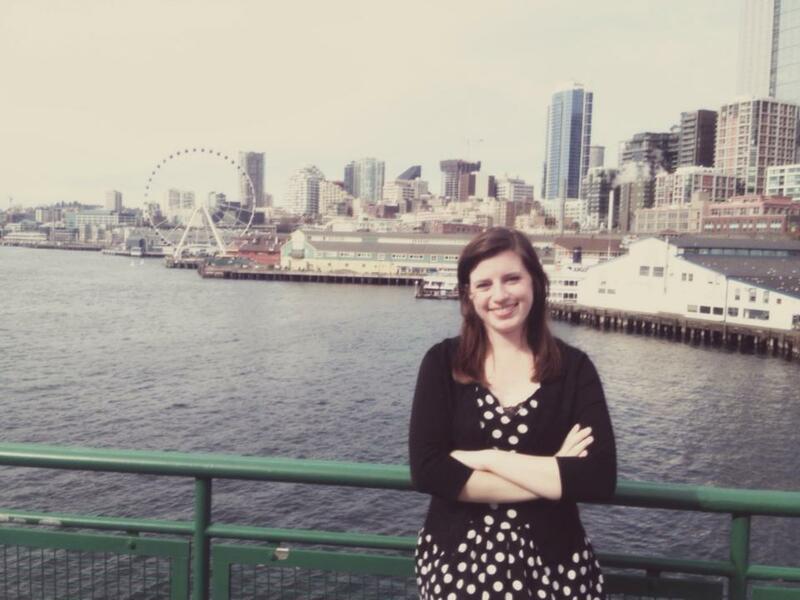 I had one year in The Emerald City and it forever changed my life. What about you? What's your craziest adventure? Looks like we have a lot of Fixer Upper fans in our midst ;) Yesterday, many of you said you wanted to switch lives with Joanna Gaines, and I absolutely love that! Kate Middleton was a close second, and I wholeheartedly agree with these choices! Today however we have a brand new prompt, and I've gotta say that moldboards are one of my FAVORITE things to make here on the blog. Today's was put together a little haphazardly, but it still makes my heart swoon for the oncoming season. Enjoy! Wednesday, Sept. 14: Make a mood board! 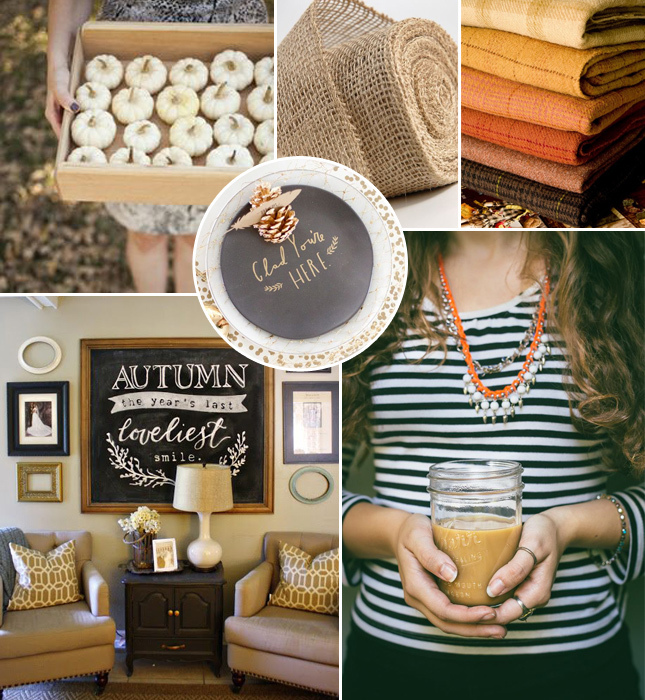 Are you brainstorming a room re-do, a capsule wardrobe, or already planning for the holidays? Show us your ideas! one. two. three. four. five. six. seven. What do you think? 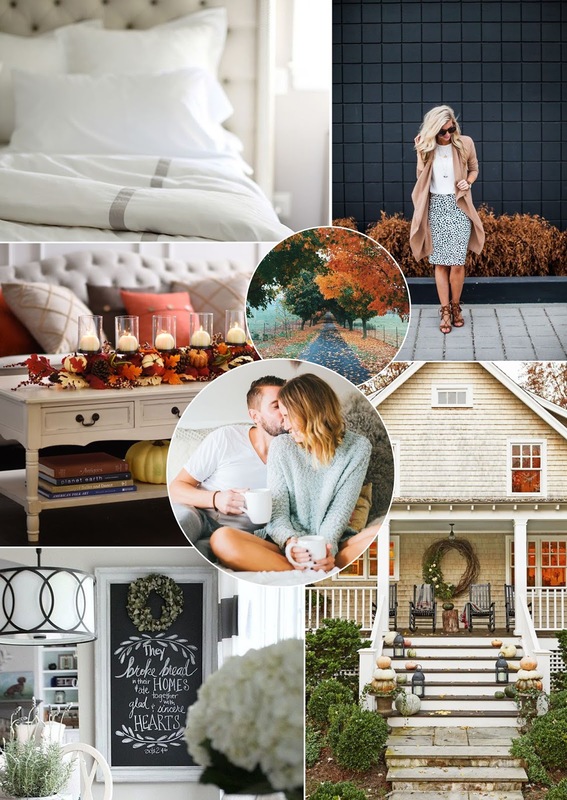 I love how cozy these pictures are, a good mix of neutrals and the warm colors of fall. If only the weather here would drop below 90 degrees! What are you in the mood [board] for today? Oh man, what a tough question! Every time I thought about it, I picked someone else! There are so many things and people to consider (and at the moment I'd swap with most healthy humans... I fear flu symptoms are on today's agenda...). But here we go. If I had to pick one, today, this would be it. Tuesday, Sept. 13: If you could switch lives with someone for a day, who would it be? Why? Over the past few years I have loved getting to know Lara via the internet and one of these days I'll get to hug her neck and laugh about the season we've walked through; she's a joy to follow on social media because she points back to Jesus continually and is very real and raw about the work He is doing in her life. Plus her job and kids seem oh so fun. Lots of hard work, of course, but lots of fun, too. Books, books, books. I could write for DAYS about books! I have over 800 books and plays (oops...), and reading is one of my favorite pastimes! I definitely had to throw in a book prompt for The Blog-tember Challenge this year, especially when I have a goal of 52 books in 52 weeks that will be coming to a close in a few short months! I'm 45 books in so far, with only seven to go! Monday, Sept. 12: Three books! One you just read, one you're currently reading, and one you want to read. The Power of Habit by Charles Duhigg had been on my list for quite some time, and even on my shelf since early spring. I think Hannah Brencher recommended it way back when, but it took me until the end of summer to pick it up. It's a fascinating look at why we do what we do, breaking it down to our cues, the habits, and the rewards we have created. I have a handful of habits I want to break and another set that I want to put into place, so I'm thankful for a fresh perspective on how to do so. One of the things that struck me most from the early chapters of the book was the idea that our mind creates habits so that we have less decisions to make. "Habits, scientists say, emerge because the brain is constantly looking for ways to save effort" (Duhigg p 17). Those things that come naturally or we do naturally (especially repeatedly) have been made into habits so that our mind can focus on other things or can power down and take a break. I definitely plan to give this book another read, and to make moves to get these habits gone (or going)! I am actually always in the middle of three or four books. My currently list includes Play with Fire, Uninvited, The Circle Maker, Circling the Sun, and Present Over Perfect. I decided to share about Present over Perfect because it is SO speaking into my season. I hustle and hurry and have an endless to-do list, but I've been feeling the ache for simplicity, for being present in the moment instead of agonizing over imperfections. I haven't gotten very far so far, but it's my bedtime book of choice this week, so the results will be in soon. I loved Bittersweet and Bread and Wine by Shauna Niequist previously, so I'm sure I will continue to love this one. I definitely judged this book by its cover. I picked up Flawed earlier in the summer but it sat idle on the shelf. It wasn't until after I took it home that I realized it was by Cecelia Ahern, the author of P.S. I Love You, a book and movie that made me cry uncontrollably multiple times over. It's her first foray into young adult fiction and it's the first book in a series. Unfortunately Perfect doesn't come out until April, and my heart gets all skippy about starting a series only to be left hanging (hello reading Red Queen and Glass Sword then wanting to THROW ALL THE THINGS AT THE WALL until King's Cage comes out next year...). Since I haven't read it, here's a glimpse at the book sleeve's summary: "Celestine North lives a perfect life. She's a model daughter and sister, she's well liked by her classmates and teachers, and she's dating the impossibly charming Art Crevan. But then Celestine encounters a situation in which she makes an instinctive decision. She breaks a rule and now faces life-changing repercussions. She could be imprisoned. She could be branded. She could be found flawed." Stay tuned for an update and review! I'm sure I'll have this one done by the end of the year. What about you?What have you read? What are you reading and what do you want to read next? With a day full of sharing my day, Saturday simply disappeared! If you linked up in the morning but didn't stop back by, check out my post HERE! It was so full and so productive, but I almost crawled into bed without getting today's post scheduled. Oops! September's always a bit crazy, so bear with me. 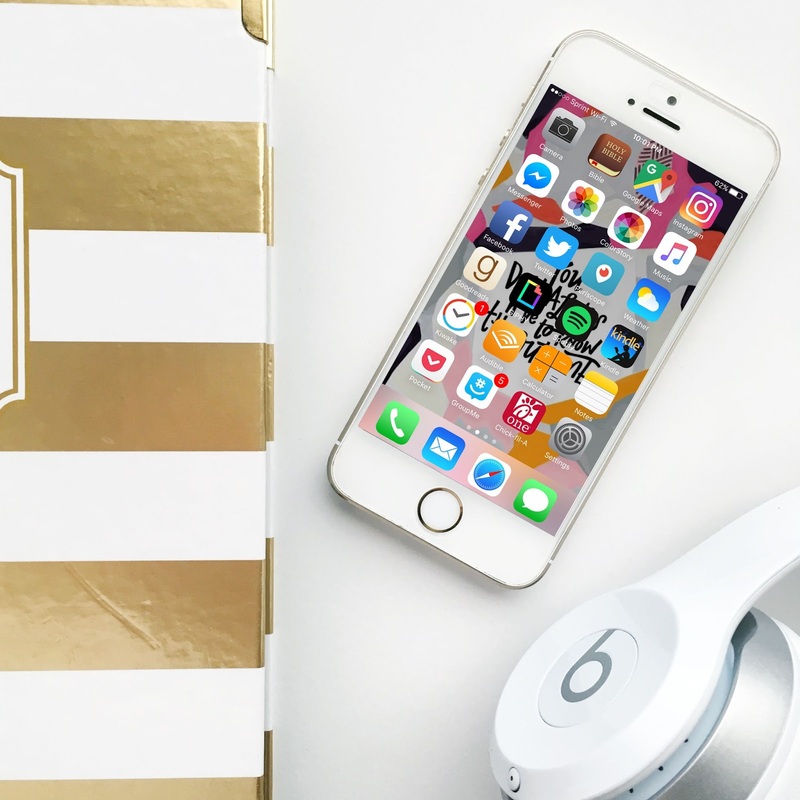 Today I am SO excited to share the three Instagram accounts that have been inspiring me the most lately, and I can't wait to get new recommendations from you! 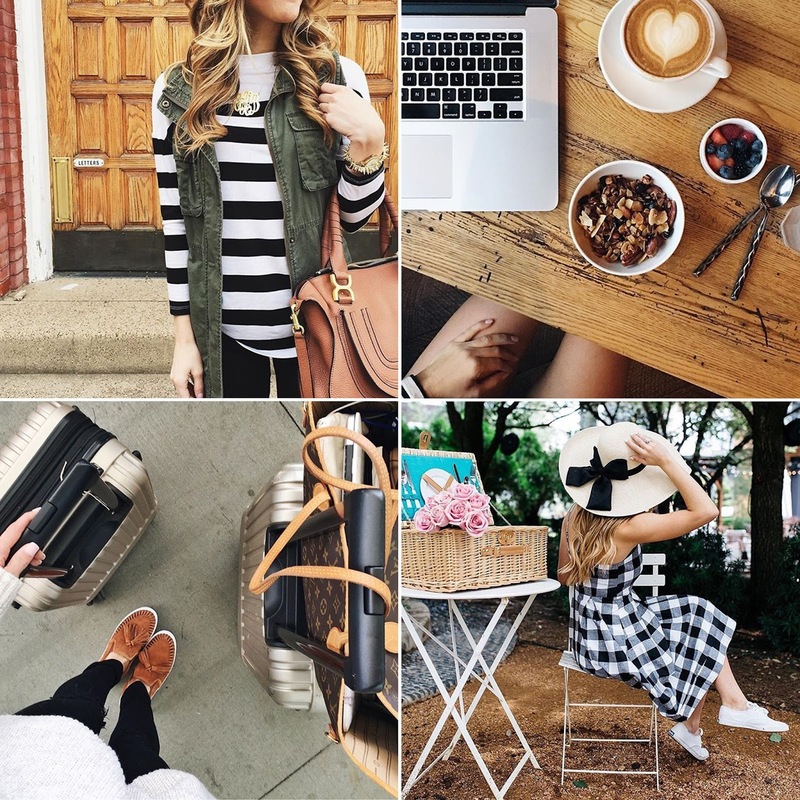 Sunday, Sept. 11: Round up of your favorite Instagrammers! Brighton is a gem of a friend, such a sweet soul with AMAZING style! I had the joy of getting breakfast with her earlier in the summer, and it has been a blast following her adventures this year! 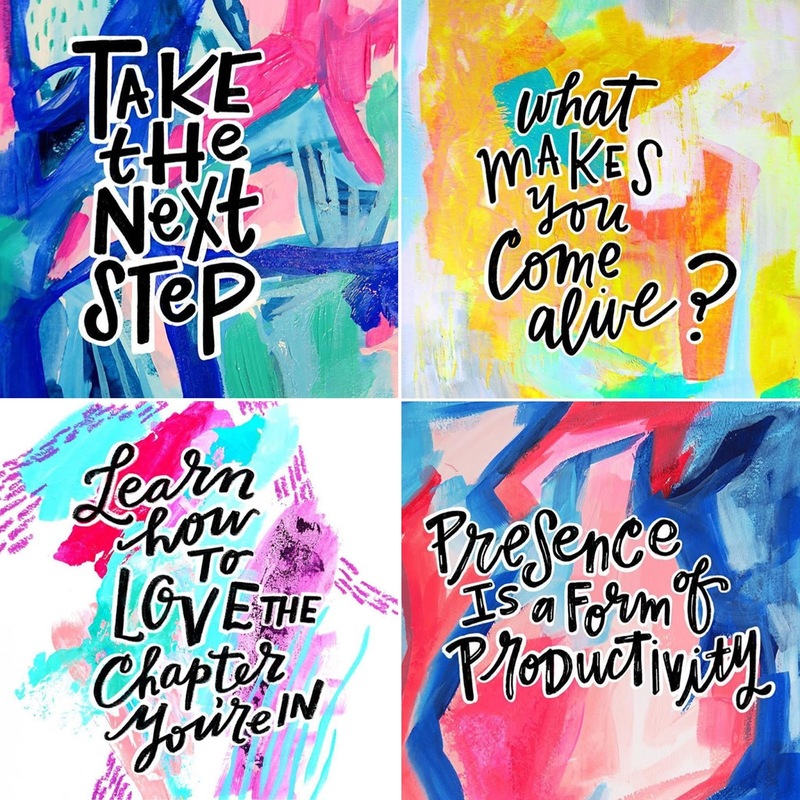 Shanna is the fearless leader of Illustrated Faith, and her feed is GORGEOUS! Just like her heart! I got to meet Shanna at the Influence Conference last September, and working with her through the creative team has been such a joy. Now I haven't met Caroline, but I definitely want to. Her artwork and daily affirmations have been so encouraging! I want to hang them all over my house and my classroom! Definitely check them out. Now who are YOUR favorites?! Who should we be following? !